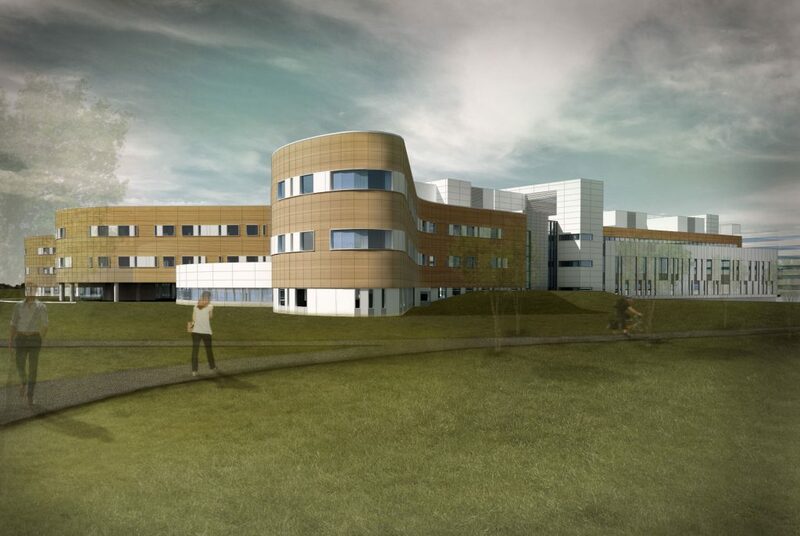 DIALOG DESIGN — A rendering shows what the new Grande Prairie Hospital will look like. 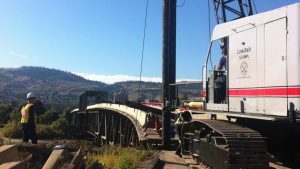 One of the troubled project’s contractors claims the province refuses to pay millions of dollars for completed mechanical work. 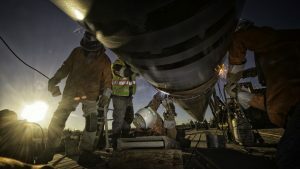 After two years of waiting, Schendel Mechanical Contracting CEO Simone Schendel-Reese is at a loss for how to get paid the $26 million she alleges the company is owed for work on the new Grande Prairie Hospital in Alberta. 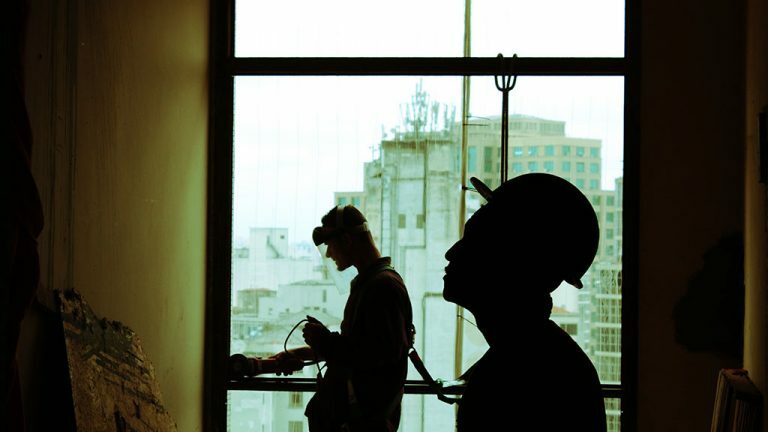 Schendel Mechanical worked on the project for six years and claims the provincial government has refused to pay three years’ worth of labour and materials. Schendel-Reese explained she has tried chatting with every government official she can think of to collect on the bill. She states she has been offered 50 cents on the dollar and told to go to courts to try and collect the rest. 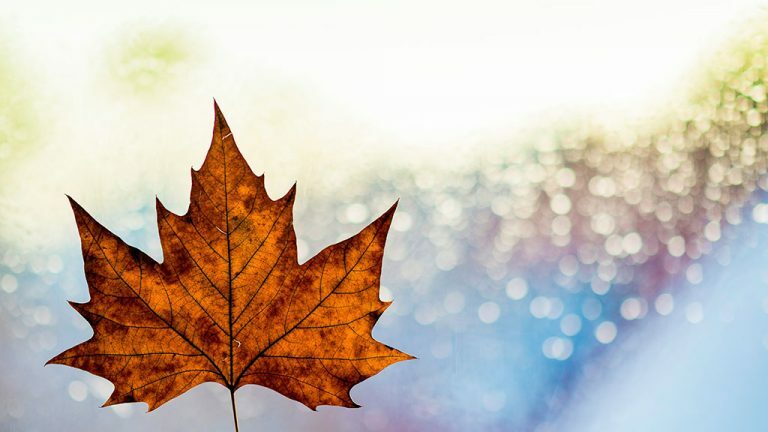 When contacted by the Journal of Commerce, government officials declined an interview due to the current provincial election in Alberta, but did confirm legal proceedings. 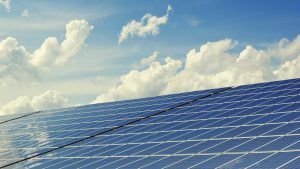 Darren Baumgardner, a senior adviser for Schendel Mechanical, explained the court process will take years to resolve while workers and contractors continue to be collateral damage. He added there are two major problems for Schendel and other contractors seeking payment from the government. “One is that you can’t lien the Queen,” he said. 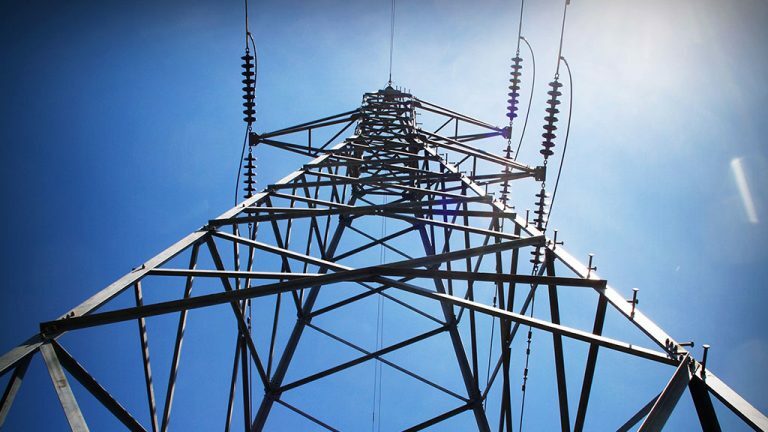 Baumgardner suggested a restructuring of the holdback system to require account reconciliation on a quarterly basis which could help contractors in the future. 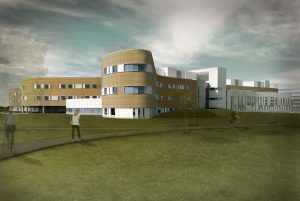 Schendel-Reese claims the Grande Prairie Regional Hospital has been plagued by numerous cost overruns and delays, due to continual changes by Alberta Health Services and Alberta Infrastructure. Alberta Health Services declined an interview request. 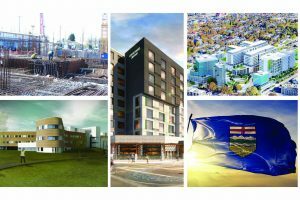 The $763-million project faced a major shake-up in 2018 when Graham Construction was removed by Alberta Infrastructure after clashing with the ministry over delays and cost overruns. At the time Graham left the project, the exterior was finished and the interior of the hospital was approximately 75 per cent complete. 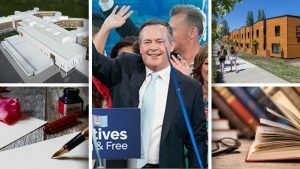 “We have a responsibility to the taxpayers of this province to get this project done on time and on budget,” said Sandra Jansen, Alberta’s infrastructure minister at the time, on Sept. 10, 2018. 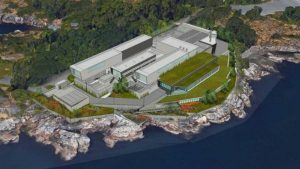 Graham issued a statement following its termination from the project alleging it had told the province it couldn’t be done under the current budget given design changes consisting of 600 change orders and more than 400 design clarifications. In some cases, said Graham, the changes required previously completed work to be demolished. Graham also stated the government omitted a key fact in its announcement about the removal of the company from the project. 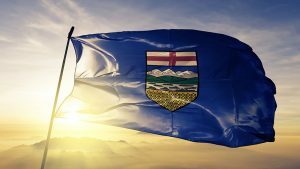 “On Aug. 17, 2018 Graham issued a Notice of Termination to the Government of Alberta as their contractual obligations to the project had not been adequately addressed,” the statement read. The province invited new bidders for the project and Clark was chosen to resume construction. Schendel stated it is one of 26 contractors that worked under Graham who allege they are owed a total of $60 million by the province. The project was announced in 2007 and was scheduled to be completed in 2015. The government now says the project will wrap up this year.